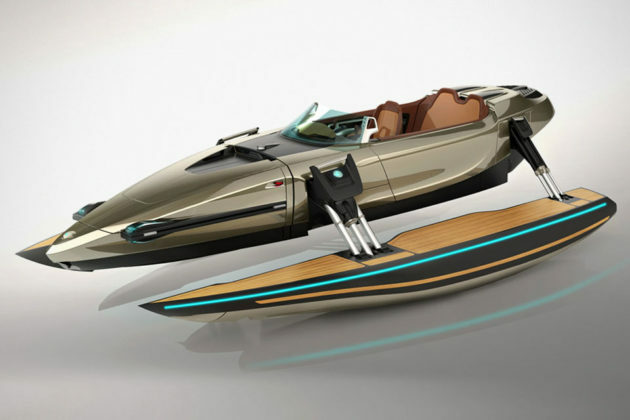 Boat is not quite favored by Transformers (though throughout history, they did have a few including a sub), but in this real world of ours, there is a transformable boat. Thankfully, this “transformers” is not an alien robot and does not have a mind of its own. From Austrian boat maker KORMARAN, KORMARAN K7 First Edition is a luxury seafaring vessel that is also a catamaran, a trimaran, a monohull speedboat, and a hydrofoil. I know. 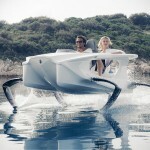 It does sound a little sci-fi-ish with so many boat types rolled into one futuristic watercraft. But as it turns out, this is no science fiction. 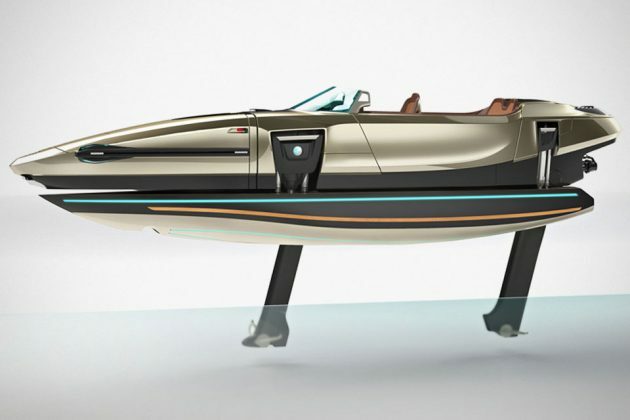 Central to the KORMARAN K7 First Edition is an innovative transformation system comprising of electronically activated hydraulic cylinders and a pair of additional, albeit very narrow, hulls located on either side of the boat. 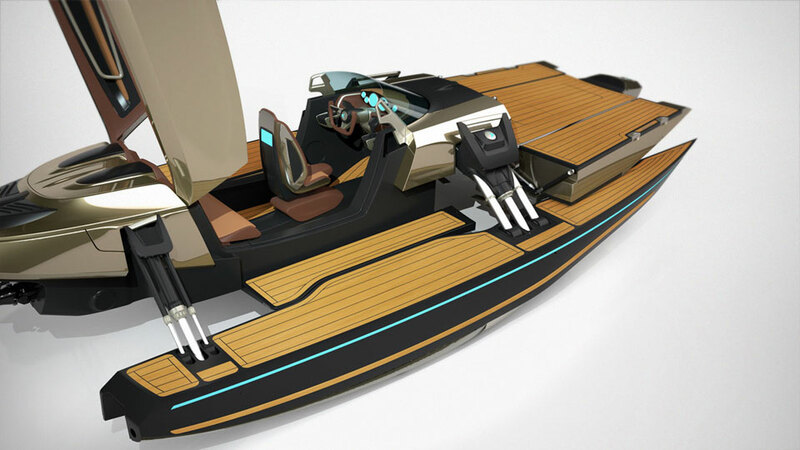 By re-configuring the two hulls with the help of the hydraulic cylinders, it can turn itself into a highly maneuverable monohull speedboat, a leisure catamaran or trimaran, or a smooth and quick hydrofoil, at the press of a button. 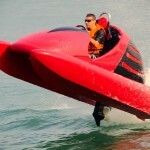 The transformation is on-the-fly, which means it can transform even when the boat is in motion. 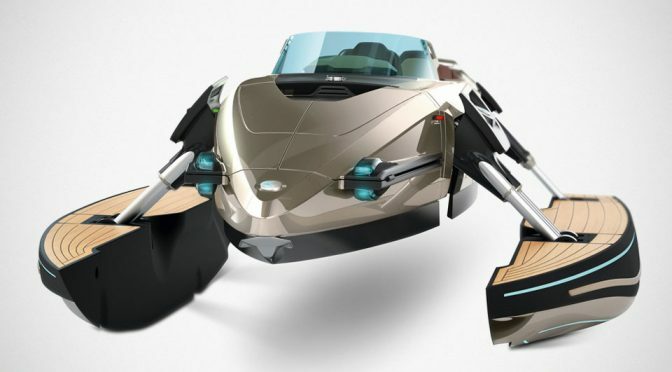 Its ability transform is not limited to transportation; it can also turn into a floating island for sunbathing since the beautiful side hulls also double as decks. The veneers of teak wood decks may not be expansive, but hey, neither is the boat itself which is good for just a pilot plus two passengers. So not expansive does not seem to be an issue here. Moreover, there is always extra space at the bow which, btw, can be open to serve as a spacious sundeck. 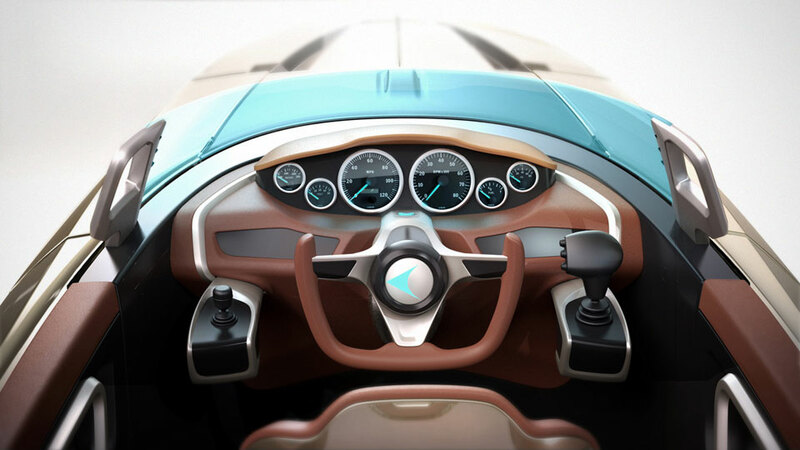 All told, KORMARAN K7 has six modes with the sixth mode being the night mode where LEDs are used to spruce up the vessel when the night falls. Absolutely brilliant. I mean seriously, I can’t believe nobody thought of this before. Like many luxury vessels before it, KORMARAN K7 is customizable to suit individual’s needs, but in general, it stretches 7.1 meters (approximately 23 feet) long and 1.6-3.5 meters (5-11 feet) across. It is push forth by 2-3 internal combustion engines-powered jet drives with a total of 310-510 HP on the tap. Those seeking for more oomph can opt to upgrade engine up to 300 HP per engine. Performance-wise, it varies from mode-to-mode. 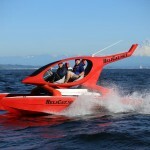 As trimaran, it’d make 10 km/h (6 mph or 5 knots), while as hydrofoil, it can go as fast as 70 km/h (44 mph or 38 knots). Whatever mode it takes, you are looking at 200 km (124 miles or 108 nautical miles) range when on 30L capacity per engine fuel tank. KORMARAN said the tank is expandable and so, you should be able to them bump up. 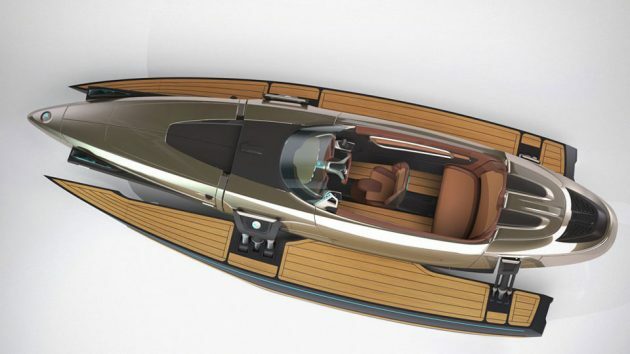 Last but not least, it is worthy to mention that the monocoque, chassis and the bodywork are of carbon fiber and so are many of the watercraft’s components. Metal parts, like the brackets and cylinders are of alloys/carbon fiber, stainless steel or titanium. No estimate of how much a basic vessel will cost, but if you are so incline (and I am assuming you have very deep pockets), you may want to touch base with KORMARAN to discuss more.